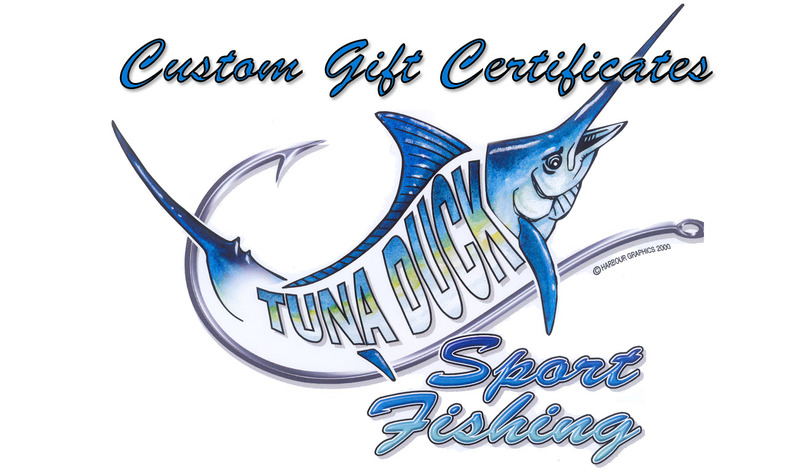 Customized Gift Certificates For "Tuna Duck"
We have designed a personalized gift certificate for you to present to your favorite fisherman. We have holiday versions as well! Just contact us and we will customize any birthday or holiday for you. (Scroll down to see examples. 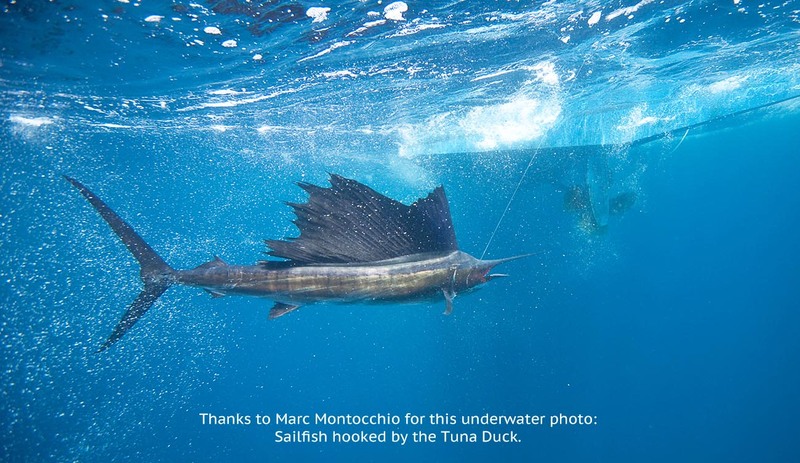 The images have been edited for the web and will look much sharper in print.) Just contact us and we will either reserve a date for you, or your party can call to set up the date. We've done gift certificates for Valentine's Day, birthdays, bachelor parties, and we've even done a certificate for baby's first fishing trip. We look forward to doing one for you!